Lake Erie Shores & Islands sponsored our recent Facebook contest, Fan Favorites: Destinations With Awesome Events, which made me think about summer activities and how summer is quickly coming to an end. Voting on the contest closed at 4:30 p.m. July 25 and the winners will be announced in the September issue of SportsEvents. Stay tuned. Soon, sports travel teams will be wrapping up the final tournaments before kids head back to school and parents will breathe a sigh of relief. When I think of end-of-summer fun, I think of cool water, amusement parks, lounging in the shade and lots and lots of ice cream. How about you? Many tournaments, I’m sure, will wrap up the season on a field and head to the hotel to cool off. They will probably have some food at a local restaurant or pizza at the hotel and then get a good night’s sleep before heading home. But the trips that often stick with us are the ones where we experienced new things in new places. I’m sure you have a favorite childhood memory of traveling with the family, too. For me, it was a pool or other body of water, any amusement park, a change of scenery and family time. This blog took me back to my younger days. Memories of family vacations and sports. No wonder I thought of all the fun to be had around Lake Erie and Cedar Point Amusement Park (www.cedarpoint.com). 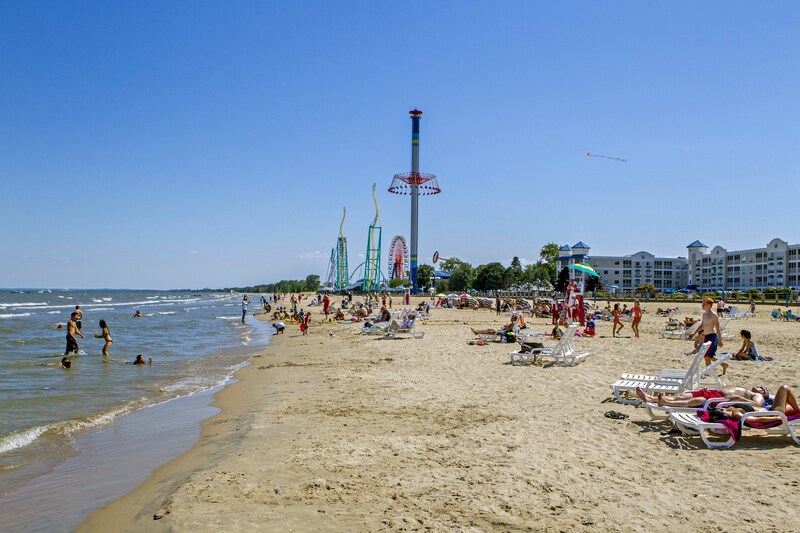 Cedar Point is considered one of the best amusement parks in the world and the area is surrounded by my first loves — water, fishing, and boats. What’s better than roller coasters, sun, water and fishing and an amusement park? 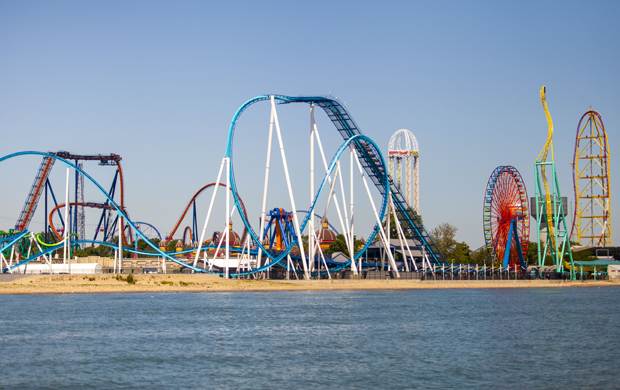 In Sandusky, Ohio, Cedar Point is known as the Roller Coaster Capital of the world. It’s more than an amusement park, though. There’s a Waterpark, a mile-long beach, and a petting zoo. But let’s talk about the roller coasters first. The Valravn is the tallest, fastest and longest dive coaster in the world. This coaster takes riders 223 feet and lets them hang over the edge before dropping at a 90-degree angle. Count me in! With multiple inversions and a 270-degree roll, this ride gets me excited. There’s more…a 131-foot dive-and-weave show why this ride is considered the king of dive. Say yes to this. The Toft Dairy started in the early 1900s in Sandusky, Ohio and now can be found at Cedar Point and other locations within a 100-mile radius. 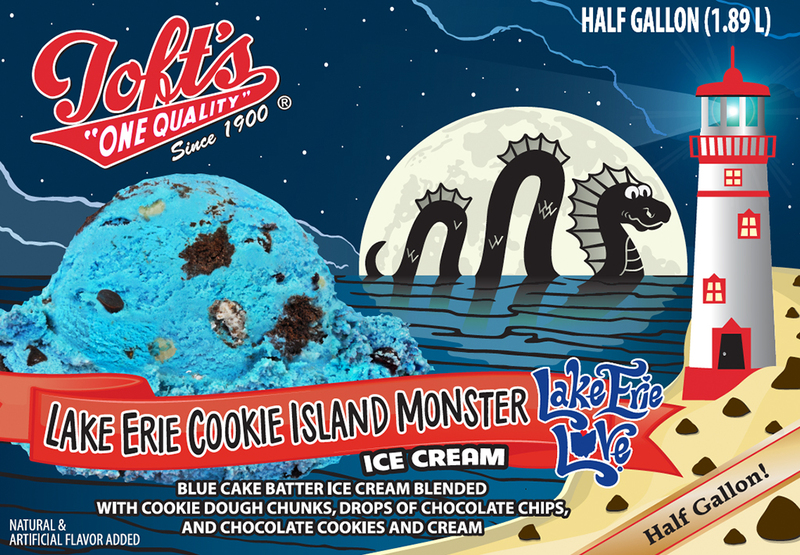 The family dairy sells milk, ice cream, and other products and the Cedar Point parlor location has a flavor of the day in addition to floats, shakes, sundaes and soft drinks. Where is that lounge chair? Disclaimer: This blog is presented by Lake Erie Shores and Islands CVB but the content of this blog is based on my own opinions, ideas and dreams of roller coasters, ice cream and lounging in or near cool water during the summer when temperatures and humidity in my home base make me want to find cooler climates. I am not a meteorologist and cannot predict the weather in any particular location I mention in my blogs. If I could change the weather, it would currently be a breezy 65 degrees with, 40 percent humidity here along the Alabama gulf coast. Call To Action: Help Me Create A “Clean” Play List! How To Make Fun Runs…Fun!